From the absolute standpoint, the soul is non-dual, immortal, ever pure, ever free, ever illumined, and one with Brahman. It is untouched by hunger or thirst, good and evil, pain and pleasure, birth and death, and the other pairs of opposites. That is the soul's true nature. The realisation of which is the goal of a man's spiritual aspiration and striving. 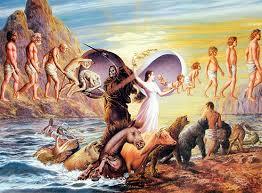 From this absolute standpoint, the soul is called PARAMATMA or Supreme Soul. But from the relative standpoint, the Vedanta philosophy admits the existence of a multitude of individual souls called JIVATMAS, and distinguishes them from the Supreme Soul. Attached to the body, the individual soul is a victim of the pairs of the opposites. 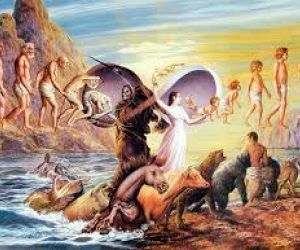 Entangled in the world, it seeks deliverance from the eternal round of birth and death, and with that end in view, studies the scriptures and practises spiritual disciplines. The embodied soul is associated with the sense organs, the mind and vital breath (Prana). There are ten sense organs, all subordinate to the mind as the central organ; five organs of perception and five organs of action. The five organs of perception comprise the organ of taste (tongue),smell (nose), vision (eyes), hearing (ear), and touch (skin). The five organs of action are the hands, the feet, the organ of speech, the organs of evacuation and the organ of generation. The mind is the inner organ and consists of such functions as desire, deliberation, doubt, faith, want of faith, patience, impatience, shame, intelligence and fear. The impressions carried by the organs of perception are shaped by the mind into ideas, for we see only with the mind, hear with the mind. Further, the mind changes the ideas into resolutions of the will. There are four functions or divisions or parts of the mind. One part of the mind called Manas, creates doubt. Aham (the ego), creates I-consciousness. The five organs of action, the five organs of perception, the five pranas, the mind, and the intellect constitute the gross and the subtle body of the embodied soul (jiva). The subtle accompanies the individual soul after death, when the gross body is destroyed. The subtle body is the abode of the KARMA or impressions left by action, determining the nature of the new body and mind when the soul is reborn. As the jiva (the embodied soul) does and act, so it becomes. The presence of an irrefragable Self or consciousness is assumed in all acts of thinking. The Self or consciousness, which is the true 'seer' or subject, is unchanging intelligence, and can never be imagined to be non-existent. Atman (the Self) in man and Brahman in the universe are completely identical. The idea of body, senses, and the mind, associated with the non-self, is falsely superimposed upon the Self, and the Self, which is of the nature of pure consciousness, appears as a jiva, or phenomenal being, subject to the various limitations of the physical world.